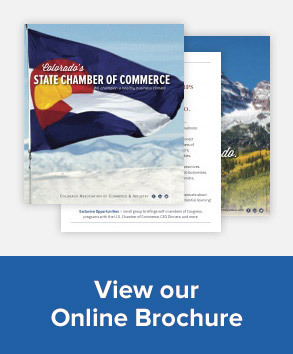 DENVER – The Colorado Chamber of Commerce is part of a coalition of public and private sector organizations that are voicing their concerns with Senate Bill 188, the Family and Medical Leave Insurance (FAMLI) Act, which recently passed the Senate Finance Committee. The legislation creates a massive and costly state-run program at the expense of nearly every employee and business in Colorado. “EDITORIAL: Kill the FAMLI Leave proposal” – The Gazette Editorial Board, April 7, 2019. “EDITORIAL: Badly needed FAMLI paid-leave measure goes from bad to worse — start over” – The Sentinel Editorial Board, April 8, 2019. The Colorado Chamber of Commerce has released a list of 70+ public and private entities opposed to Senate Bill 188. Representing a wide range of industries, thousands of businesses, all 272 cities and towns, and over one million workers statewide, these organizations support paid family and medical leave in Colorado but have joined together to express major concerns about the provisions in SB 188. To view the full list, please click here.